Cruise Bar at Circular Quay will come to life this autumn with a special two-day gourmet event, Roast & Roam. The sunny harbourside courtyard will transform into a bustling food precinct with a spit roast carvery taking centre stage. 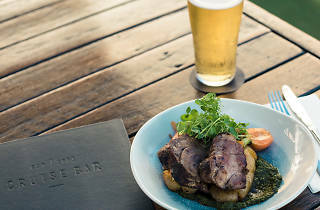 To complement the spit roasted pork there will be beer and wine tastings, plus live entertainment. Cruise Bar's executive chef Patrick Haney will take care of the spit roasted pork, while the likes of Young Henrys, 4 Pines Brewing Company, Manly Spirits Co., De Bortoli, Carlton and United Breweries will furnish you with drinks. The Luke Zanc Trio, Soulganic, Imogen Duo, Lana Rita and the Classic will all be on hand providing chilled acoustic tunes to soundtrack your eating adventures. You'll also have uninterrupted views of Sydney Harbour, the perfect backdrop. Tickets are just $29, and includes lunch, 10 beer, cider and spirits tastings and entertainment. 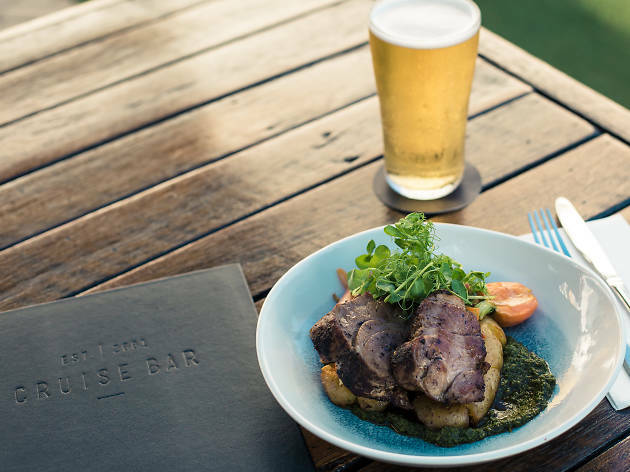 Considering a pub roast will set you back more, this is a solid deal, so get your mates together and book in for a day at Cruise Bar's Roast & Roam.